Hello and Welcome to the Simplemama Blog. I’m so glad you are here. Please, come in! My name is Erika Marie, I’m a simple Catholic, wife, and mama. I try to live a simple life for Christ and my husband and family. 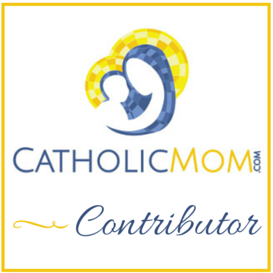 This is my place to share my ramblings about life as a wife and mama and my reflections on Christ and my Catholic Faith. My greatest hope is that YOU feel Welcome here. The purpose of this blog is not about ME. Sure I’ll talk about me and my experiences and thoughts a LOT. But it’s not about ME. It’s about YOU. I hope you come here and leave feeling ENCOURAGED and STRENGTHENED to live out your life and vocation, wherever you are on that journey. Please don’t come here to compare your life to what you see on the screen. Comparison is the thief of joy. A blog can only offer a sliver of what our real lives are about and who we are, and usually you’ll only see the better parts displayed aesthetically for your eyes.. In real life, I’m just as crazy as you – probably MORE! You are you and I am me. Be who YOU are. Here, I share joys and gratitudes; recipes and tasty food; favorites; triumphs and small successes; randomness; whines; sorrows; information and resources for motherhood; home life; and marriage; the gift of life, babies, and NFP; questions; and, most importantly, Faith – with you. I also love talking about books, movies, and – if you can believe it – fashion every now and then. – Not to provoke, not to condescend, not to compare, not to judge. But to share information and encouragement for YOU in order that TOGETHER we can travel on this journey we call LIFE. Together, we can pull each other deeper to find Truth, Beauty, Joy, Laughter, Peace…LOVE. Stay a while or come and go as you need to in between diaper changes, feeding babies, or whatever else you have going on. I’d love to hear from you but I understand that sometimes, it’s easier to just sit down and stare at a screen for a little while. Even if you can’t leave me a written comment, I hope you can offer a prayer for me and my family when you think of it and I’ll do the same for you. I love showcasing others’ great works and accomplishments so I’ll share posts linking to others exciting projects from time to time. Please visit them and support them. I’d love to add more so If you’d like some extra attention for something you’re working on, contact me and tell me about and I’d love to share it. En-JOY your stay and I look forward to getting to know you! Welcome Barb! I’m so glad you’ve come. I enjoy seeing your comments. You seem like a very kind and kind-hearted woman. I hope you enjoy the recipe section. Let me know if there are any broken links or questions. Sometimes I forget to keep that area all the way up-to-date. Hope to ‘see’ you again here soon. Im a new visitor. Thanks for the toy bag giveaway. I love hand made items. Welcome Dawn! I’m glad you stopped in. I love hand-made items also. Hi,I’m Neslihan. I’m trying to catch up i the blog world. Welcome Amanda! It’s so great to have you. Thank you for coming over and for your kind words. They came at the perfect time. The one thing I hope my blog offers is encouragement, so your words gave me that and motivation to keep blogging. Come again soon and I hope to visit you again soon as well.